The Delphin Renaissance was a cruise ship owned and operated by the Renaissance Cruises, originally founded in 1989, was a cruise line operator that operated year-round cruise itineraries to the Mediterranean, the Greek Isles, Tahiti and the South Pacific, Northern Europe and Scandinavia. The company ceased operations on 25 September 2001. Images from Back in 2005 today she is renamed as Azamara Quest - Azamara Quest is an R-class cruise ship that entered service for Azamara Cruises on October 24, 2007. 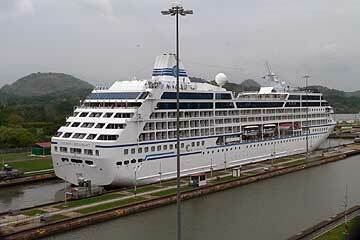 She was built in 2000 for Renaissance Cruises as R Seven. Following the collapse of Renaissance Cruises in 2001 she was laid up for two years, until chartered to the Germany-based Delphin Seereisen as Delphin Renaissance. 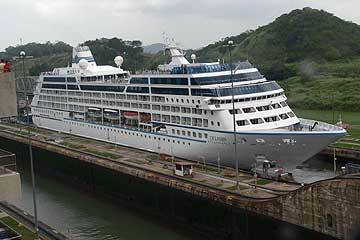 In 2006 she was sold to the Spain-based Pullmantur Cruises and renamed Blue Moon. 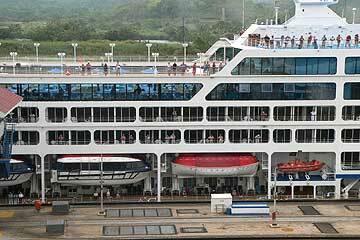 She sailed for Pullmantur until 2007 when she was transferred to Azamara Cruises.